HomeAll PostsContentHow-to/What is8mm Lives! Regular 8mm Home Movie Film! 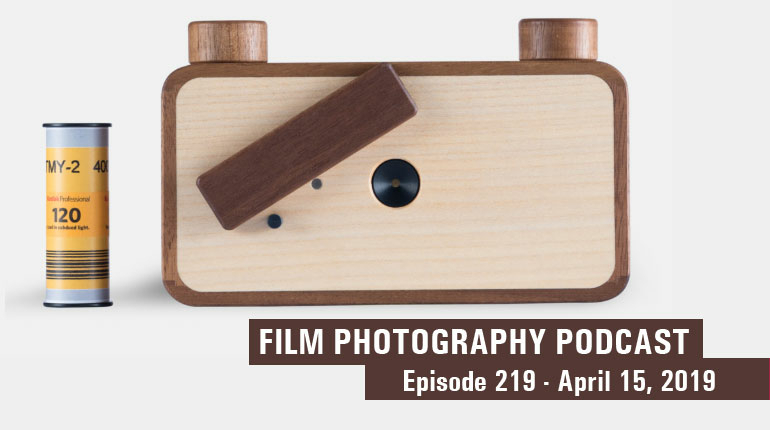 There is no doubt that the increasing popularity of Super 8 film (thanks in part to the Film Photography Project and Eastman Kodak’s new Super 8 camera) has the potential to make the format a household name again, at least amongst analog film lovers. 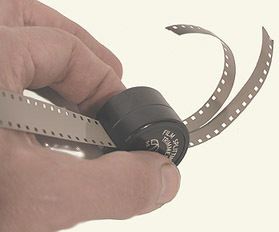 However, there is one format that many amateur, hobbyist, and even professional film users, may not remember: Regular 8. Long before the Super 8 craze of the 1960’s, 16mm was the main film format when it came to home movies and only amongst those lucky few who had the money to shell out for cameras, film, processing, and projection equipment. Considering the hardships most Americans were facing during the height of the Great Depression, Eastman Kodak realized the only way they would make home movie-making easier to do and more accessible, would be to make smaller cameras; that meant smaller film. So in 1932, Kodak debuted Cine Kodak Eight--a new film format that was cheaper than 16mm and featured smaller cameras that were easy to use (in theory, anyway) for the average consumer. The format was an instant success and introduced America (and the world) into a love for making movies at home. By the end of WWII, many Americans could easily afford everything they needed to make bright, vibrant, color, home movies that became an iconic symbol of nostalgia. 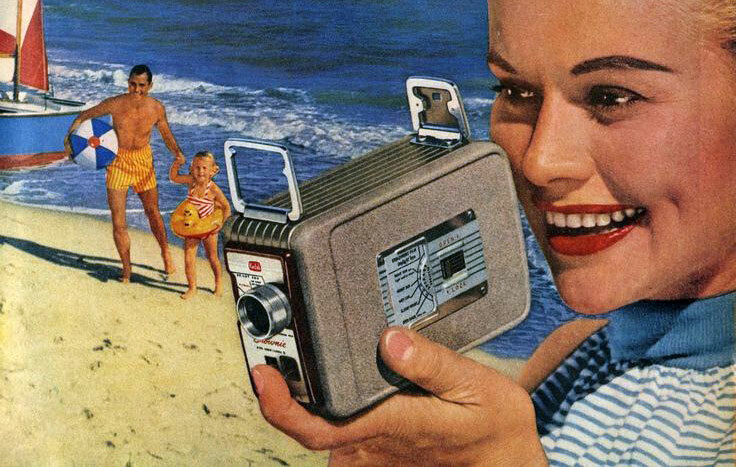 However, when Kodak introduced its new-fangled Super 8 film system in 1965, Americans turned to the new, easy-to-use system and slowly but surely, the format fell from popularity--but not entirely. In fact, Regular 8 film has continued to be manufactured and sold by different manufacturers consistently since it’s debut in 1932. Really! What is Regular 8 film? Like I mentioned before, Kodak was on a mission to make home movies more affordable and easier to make--but they didn’t want to reinvent the wheel. Since 16mm film was the standard when it came to home movies (and theatrical prints, too) they tried to find a way to modify the film stocks they were already producing. The solution was quite clever: Take 16mm film, add more perforations, and put it on a 33 foot spool. Then, they designed a camera that exposed half of one side of the film. Once the spool was run through the camera once, you’d switch the take up spool with the empty spool, which ‘flipped’ the film over. The camera then exposed the other half of the film. above: Michael Raso presents a discovered roll of post-WWII home movies shot on Regular 8! Once the film is sent to the lab, it’s developed just like 16mm film. After it’s dried, the lab pulls the film through a slitter, which cuts the 33 feet of film in half right down the middle. Splice the two halves together, and bam! You have a 50 foot long movie! Can I still buy Regular 8mm film? YES! Though stocks of Regular 8mm film aren’t nearly as vast as they were 60 years ago. Wittnerchrome 200D is a color reversal film that has been very popular in the Super 8 and 16mm formats. Dwyane’s photo in Colorado now sells this great stock in the Regular 8 format for around $38. Fomapan R-100 is a black and white reversal film (but can also be processed as a negative) and one of the most popular Regular 8 films sold around the world--mostly because it’s so cost effective. At around $18.99 (as of this writing) for 33 feet (66 feet when slitted and spliced) it’s a fantastic value. You can pick a roll of this up at B&H. Cine-X 125 is another black and white reversal film (that’s actually re-spooled and re-perforated Orwo UN54) sold by John Schwind over at International Film Brokers. You get around 33 feet for $18. as of this writing. above: 1961 Regular 8 Kodak Camera Land US TV Commercial. This is where Regular 8 doesn’t shine--finding labs to process this stock can be a challenge because it does require an extra step—slitting splicing the film together. Dwyane’s processes their Regular 8 Wittnerchrome. For Cine-X 125 and Foma R-100, Yale Film and Video in California and Cinelab in Boston both offer processing. Can I develop it at home? YES! With the right chemistry, you can easily process any three of these stocks at home. E6 can get quite involved, but the process for developing Orow and Foma is pretty straight forward. I process my own Foma at home and the results are fantastic. Foma even makes a chemical kit for developing their movie film which you can purchase at B&H. Just about any lab or service that scans Super 8 can typically handle Regular 8, too. Just be sure to ask first, and specify it’s Regular or Standard 8 and not Super 8. Magazine style cameras: Kodak and some others introduced a magazine type Regular 8 camera that used a preloaded metal cassette that was exposed in a Magazine 8 camera and returned to Kodak for processing. This made loading easier during shooting because you didn’t have to rethread the film. The magazines are no longer made, however, it is possible to have them reloaded. Light Metering: Most of the film stock offered 60 years ago had lower ASA ratings like 14, 25, and 40. Be sure to find a camera that can meter up to at least 200 ASA (for Wittnerchrome.) Another plus is finding a camera that can take a ND filter to step down the light. The Cine Canonet 8 is a great example. You’ll also want to be wary of how the light meter is powered. Some of the mercury style meter batteries aren’t made anymore. Battery or Wind Powered: Before the introduction of penlight batteries (aka AAs and AAAs) most movie cameras were crank powered. Usually, you get around 30 seconds or so of filming from a single wind (though some cameras did have longer run times.) This is important because you will have to keep that in mind while filming so you don’t miss the shot you want. Later Reg 8 cameras were battery powered, usually via AAs. Can’t I just load 16mm onto a Regular 8 Spool? Nope. Firstly, most 16mm stock made today is only perforated on one side (with the exception of Foma who does make double perforated 16mm R-100) so that won’t do. Secondly, there aren’t enough sprocket holes on the film and the perfs are farther apart. Are there advantages over Super 8? It’s hard to say and certainly an opinion for different people. In general, Super 8 has some pretty big advantages that are hard to beat--larger frame size, a built-in pressure plate that helps to stabilize film during shooting, and the fact that the film is enclosed in a cartridge which means continuous filming. Some have argued that Regular 8 does have advantages when it comes to the perforations--because they are larger, they’re harder to tear--especially when splicing or threading through a projector. Currently, the main advantage of black and white Regular 8 over its Super 8 alternative, is cost. A roll of Kodak Tri-X in Super 8 will run you over $20, while a roll of Fomapan R-100 or Cine-X 125, will only cost you $15.00. The other advantage of Super 8 is that because it’s contained in a cartridge, only a few frames at the beginning of the roll become fogged (meaning exposed) during loading. With Regular 8, almost a foot or more in the middle of the film and at the ends, become fogged. This is why most come with more than 25 feet of film on the spool--so that you can splice out the fogged bits after processing. Overall, Regular 8 is worth mentioning, especially for those who might be on a budget. The cameras are usually well built and, most importantly, fun to use. Cheap but reliable cameras can be bought on eBay for only a few bucks, and projectors are plentiful. The place where Regular 8 shines is for the home processor, making the format very affordable. If you love Super 8, you’ll likely love Regular 8, too. Why not have both?